Discover a community that is as rich in heritage and culture as it is in beauty. 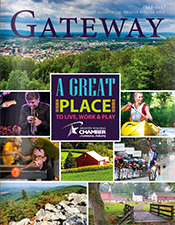 World-class entertainment, five professional sports teams, a symphony orchestra, arts centers, and great museums make Reading a community brimming with cultural activities. Ideally located along the Boston-Washington corridor, Berks County has more than 100 million people within overnight delivery. Add our skilled and diverse workforce and affordable cost of living to the list of reasons for making Greater Reading a great place to do business, and you will understand why many of us can't imagine a better place to work and play. Greater Reading offers a multitude of diversity to accommodate any visitor's desire. Take a ride back in time by reliving history at one of our many museums and historical sites. Leave your baggage behind and join the fun at one of our world famous festivals. We offer a wide variety of shopping, including Antique Extravaganzas, Cabela's, and VF Outlet. Adventure awaits you around every curve. Enjoy hiking, biking, horseback riding and so much more on our many multi-purpose trails. We are also recognized as 'Baseballtown,' home to the Fightin Phils, host the Reading Royals hockey team, and for the drag racing fan, Maple Grove Raceway. Getting Hungry? Whether you crave five-star elegance, light fare, or anything in-between, you'll find it here! Spend the night in a charming Bed and Breakfast or a distinctive hotel. Need more inspiration? 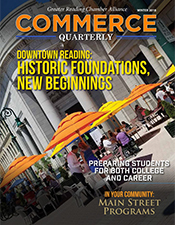 Contact the Greater Reading Convention & Visitors Bureau for more ideas and cool packages.